I've felt kind of off all day today. 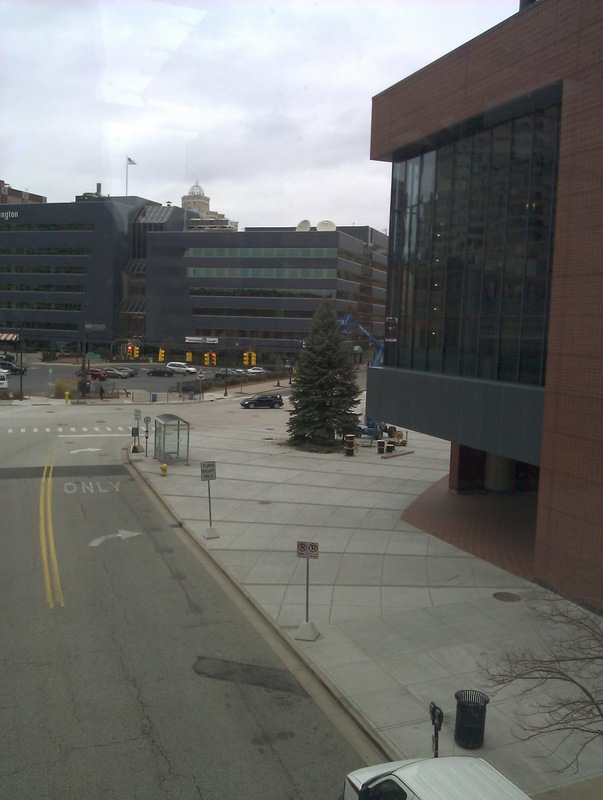 I did get out of the office and walk through the skywalk, just to move around, so that was nice. I didn't actually end up doing much of anything. I went home early feeling sick and spent a chunk of the evening lying around. 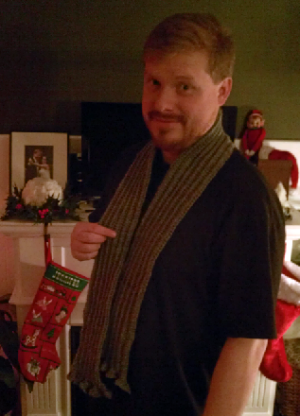 On the plus side, Chris was able to wear the scarf I finished knitting for him yesterday when he picked me up from work. So that was nice! That thing only took me like 11 months to do. Wow.